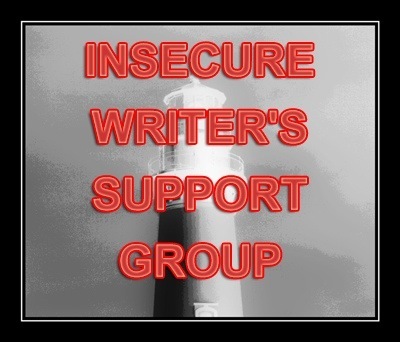 This entry was tagged Judy Reeves, postaday, Word count, Writer, Writer Resources, Writers Resources, Writing, Writing Exercises. Bookmark the permalink. I am so behind. I thought I’d catch up during the holidays, but no. I’ve fallen more behind. I understand. I think it’s great you’ve set a goal for yourself to write 100 words a day. I bet you can do it without any problem! I understand the challenge of inspiration or the feeling of not wanting to write certain prompts! I’m not sure I want to commit to that, but I’m sure I’ll end up writing that many words anyway. Good luck! It will get the ball rolling for 2013 for sure. I love that you switch up the challenges. Well done sticking to your challenge – and good luck with the 2013 one. 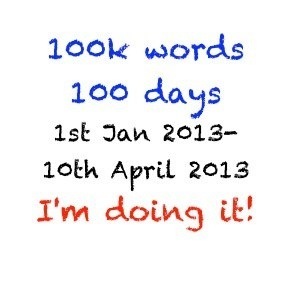 I plan to write much more this year so I’m thinking of doing the 100k challenge. My resolutions for 2013 are slightly different than yours. Firstly to get more ‘paid’ freelance work, revise my NaNo novel, plan out a couple of joint ventures & make it back ‘home’ (England) for a vacation in the summer. Isn’t that enough? Good luck with your challenges. Ooooo, whereabouts in England will you be visiting in the summer? Most of my family are Hampshire & Berkshire but one brother in Northamptonshire. No set date yet but probably July. Will let you know nearer the time. A brilliant idea! I should do this too! I have a novel that I didn’t quite finish from NaNoWriMo! Im attempting the 1000 words a day challenge as well, got quite a bit planned! He he he, good luck Jayne! See you on Sally’s group next week! Have you seen The Daily Reader CB? I’m so impressed with what you achieved this year. Sticking to it like that is not easy! Well done! 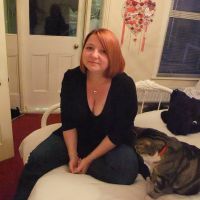 As for Sally’s challenge, if there’s a Facebook group to help me keep track of things and chat about it, I may well join. I’m ready to get started on the next thing. I need to go and find it now. There’s already quite a lot of chatting going on on the FaceBook group! Hope you decide to join! Well, I must admit I’ve bought the Judy Reeves book after hearing so much about it from you. I’m going to start it in January. I really need to do Judy’s book, which I do have, but haven’t used. I think I may sign up for one of those challenges you recommend. I really want to write my novel in 2013. No ifs, ands or buts about it! 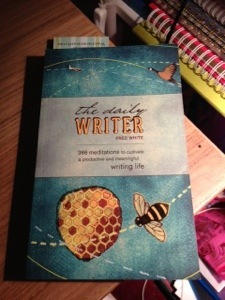 Yet the book is also ideal for more seasoned writers who are ready to get serious about the craft. That’s where I was with my own writing when I was first introduced to this book, and it made me realize that writing could be more than just a way to pass the time when I was feeling inspired.